This fan-favorite made its debut in STAR TREK: FIRST CONTACT. 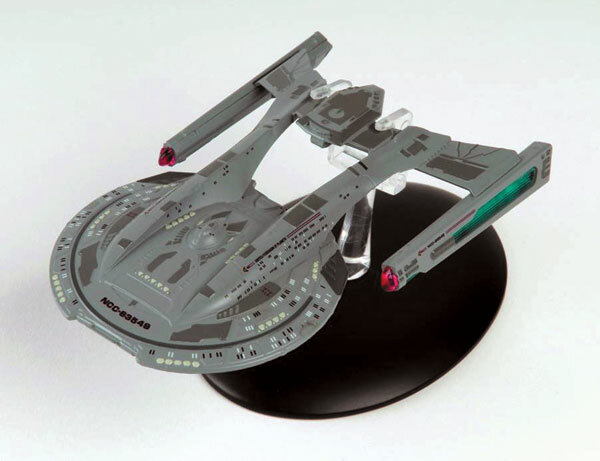 The Akira class is the first-ever officially licensed model of the incredibly popular little ship. It is taken directly from the CG model made by ILM. The AKIRA class was named after the cult Japanese anime film, ‘Akira’ (1988). Set in the future, this animated cyberpunk film features biker gangs and characters with psychic abilities.